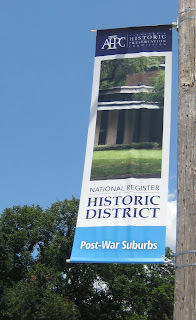 Today the city completed hanging ten banners around the district. 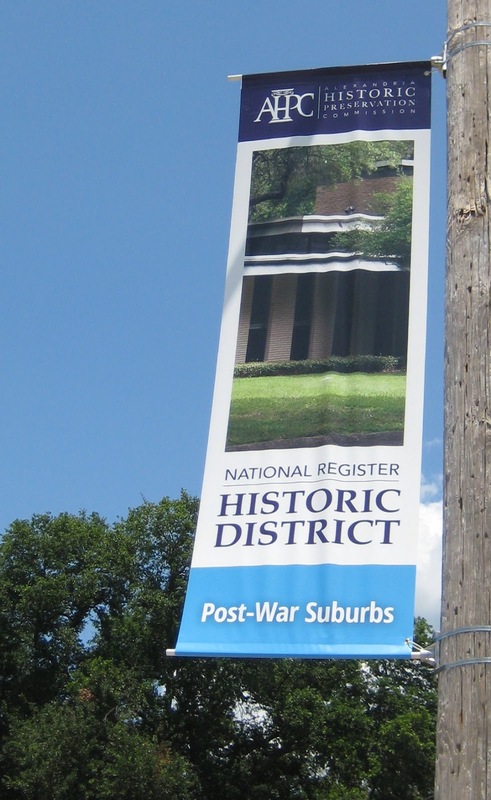 A few were hung on Friday, and it was pleasing to hear so many people comment about how nice they look and how meaningful it is to have this district listed on the National Register of Historic Places. Thanks to the Alexandria Historic Preservation Commission and the City of Alexandria for supporting the district in so many ways including these fine banners! Stand by for an announcement in coming days about an upcoming celebration. I love the banners. Don't know who designed them- but thanks- you did a great job. 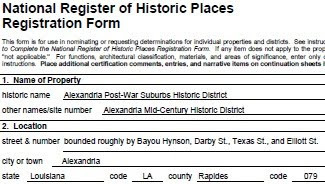 I've always loved our house and living on Elliott street and have even more pride now that we are a recognized Post-War Historic District! Compliments go to the Alexandria Historic Preservation Commission. My understanding is that other districts will have similar banners (as budget allows) with a house in the district featured, and the color at bottom will relate to the district color on the map - http://www.cityofalexandriala.com/ahpc/maps . Banner promotion is something that I believe really necessary for a business to get the maximum viewers to get maximized chances to get your work on top. PVC banners need to be attractive so that it can attract the attention of people towards the right thing and right place.